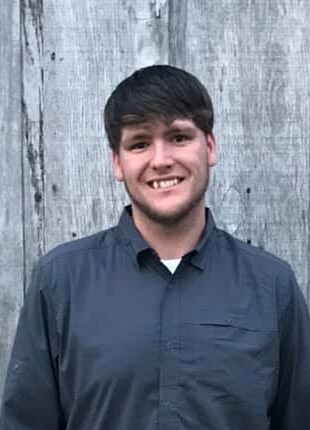 Brantley “Bug” Epps, 27, of Sardis, Alabama died Thursday, April 11, 2019 at his residence. Funeral service will be Saturday, April 13, 2019 at 2:00 pm in the McRae Funeral Home Chapel with Bro. Cody Nugent officiating. A private graveside service will be held later. The family will receive friends on Saturday beginning at 12:30 until the time of service. Brantley is survived by his wife Emily Walker Epps; daughters Zoey Epps & Braylee Epps; parents Kevin & Donna Golden; siblings Mark Golden, Destiny & Adam Motley, Nickie Epps; parents-in-law Brian & Christy Walker; sister-in-law Stephanie Walker; grandparents Shelby McElhaney & Marness Golden; and numerous nieces & nephews. Pallbearers will be Austin King, Tyler Lemaster, Jeremiah Ashley, Cody Fowler, Timothy Golden, and Adam Motley.